TYPS Monthly – February 2012 – Feat. ¡Progreso Barrios! 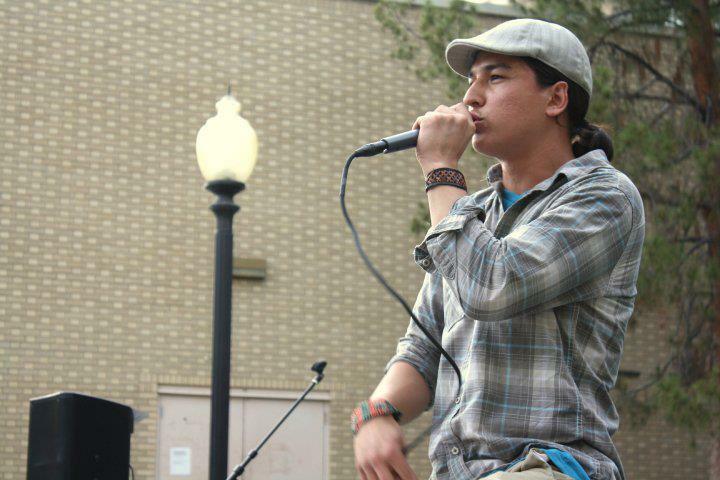 The Tucson Youth Poetry Slam – February 18, 2012! Featuring Progreso Barrios of the RebelArte Collective! A poet born in Agua Prieta Sonora Mexico, now residing in Tucson, Arizona, expresses his poetic energy in conjunction with Hip Hop music. Driven by hope of inspiring social change and political involvement, Progreso represents the voice of the voiceless. Slam hosted by Amy Briseño and Enrique Garcia! Sat. Apr 28, 2011, UA Poetry Center. Participate to qualify! The Every Voice in Action Foundation, Bentley’s House of Coffee & Tea, UA Poetry Center, Tucson Pima Arts Council, the Arizona Commission on the Arts, and the National Endowment for the Arts.